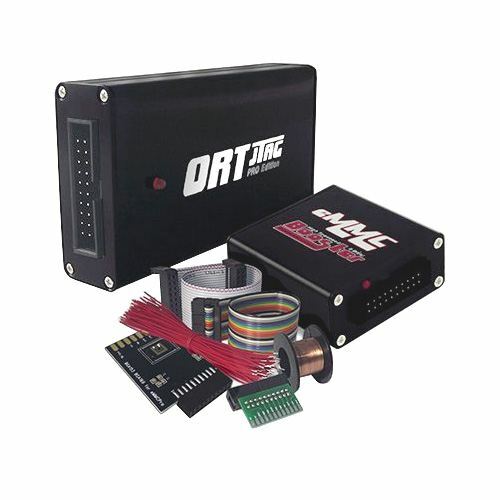 ORT JTAG Pro with EMMC Booster is an advanced JTAG Programmer / Multi-brand JTAG tool, which lets you to work with the wide range of devices with the JTAG interface. 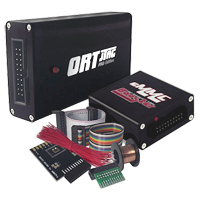 The main intended purpose of the ORT JTAG Pro Edition is repairing / recovering dead boot of the devices such as mobile phones, smartphones, modems and other electronic devices, where you can get access to JTAG interface. eMMC Booster Tool allows you to Read / Write (user area) of eMMC Chipsets. eMMC Booster integrates a high-speed microprocessor and a high efficiency hardware engine for the best data transfer performance between USB and eMMC interfaces. Supports mobile phones in-system programming and provides required eMMC voltage. - Omnia Repair Tool Pro Edition - 1 pc. - eMMC Booster Tool - 1 pc. - Flat cable – 2 pcs. - Roll wire - 1pc. - JTAG Socket - 1pc.